Dr. Babu Rajendran [Figure 1] passed away on February 9, 2019 and we lost one of the most influential ophthalmologist of Indian ophthalmology. He was the past president of the All India Ophthalmological Society (AIOS), great visionary, who contributed enormously to Indian ophthalmology. A great clinician, and human being, he was always ahead of his time. 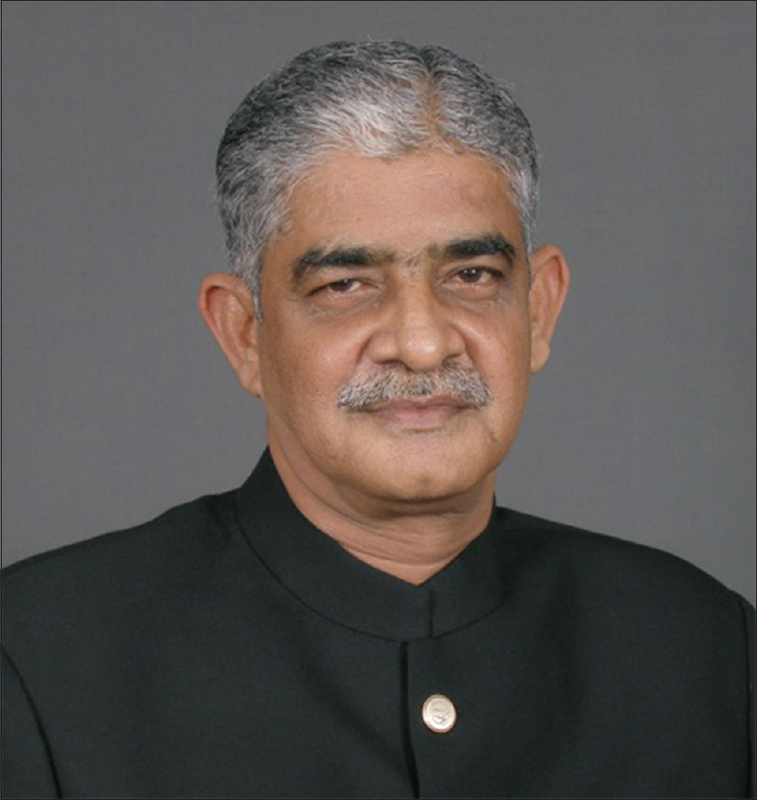 Dr. Babu was well-liked among his peers and deeply admired by the students who practiced under him. He has been known to take great pains to enlighten and teach medical students who wished to pursue a career in ophthalmology. Dr. Babu Rajendran was first to introduce electronic presentation in medical conference in India. He democratise AIOS by introducing on-line election which is followed by many medical societies including Indian Medical Association (IMA). Dr. Babu Rajendran was born on October 1945 in Visakhapatnam (Andhra Pradesh), almost 2 years before the Indian subcontinent got freedom from the British Raj. His family members include spouse Giri, son Sushil and daughter Priya. Dr. Babu aspired to be a doctor. He was known to have been fond of science and human biology from the early years. Thus, the fact that he pursued higher education in a medical college comes as no surprise. In 1971, Babu Rajendran became Dr. Babu Rajendran after he obtained his M.B.B.S. degree from the Kasturba Medical College in Manipal, Karnataka. Four years later, he stood on the same stage to receive his M. S. degree in ophthalmology. Since then, his fate was sealed in dedicating his life to the field of ophthalmology. Dr. Babu Rajendran has had the opportunity to travel to Australia (for advance fellowship with Professor Gerard Crock) in the formative years of his practice. He then made his way back to India in the late 70s. After a brief stint in international institutes, Dr. Babu Rajendran founded ophthalmology department at Vijaya Hospital, Chennai. This is where he is said to have begun his career on 'ground zero.”. Yet, his success surpassed all expectations. Dr. Babu Rajendra developed first computerized eye department, first automated angiography reporting system and pioneered the tunable dye laser, and the excimer laser refractive surgery during 1980-90. Apart from his ophthalmology practice, he made an effort to be an active participant of various medical clubs and societies in India. An active member of the AIOS right from the start of his professional days, Dr. Babu has evinced keen interest in all aspects of its activities and has contributed significantly towards the attainment of its aims and objectives of the AIOS. He was the Organising Secretary for the Society's Annual conference held in Chennai in the year 1989, which was a huge success. He had been a dedicated Rotarian since 1981 and was a trainer and motivational speaker. On the whole, Dr. Babu Rajendran has received more than 40 orations and three Lifetime Achievement Awards. Not to forget the prestigious Lifetime Achievement Award from All India Ophthalmological Society that he received in 2013. Dr. Babu Rajendran has written numerous research papers in ophthalmology, many of which have been published in the most reputable medical journals. But his autobiographical book “I for an Eye” [Figure 2] is our personal favourite. The book captivates medical and non-medical students alike as it takes the reader on an extraordinary journey of an ordinary person. Dr. Babu Rajendran's dream was fulfilled and he was perceived to be one of the most influential personalities in the history of Indian ophthalmology. We pay our tribute to this great visionary who contributed significantly to the AIOS till the last day of his life. Dr. Babu Rajendran will never be forgotten for his significant contribution to the AIOS and to Indian ophthalmology. 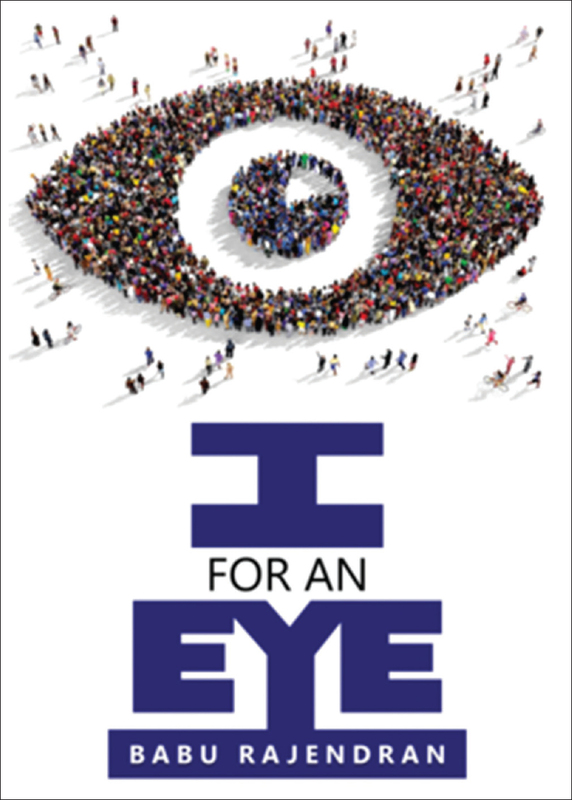 I for an Eye, an Autobiography of Dr. Babu Rajendran. Notion Press; 26.02.2016, Chennai, India.